As day two of this year’s IFXEXPO in Cyprus began on Thursday morning, senior executives from all aspects of the forex business met again for another 9 hours of in-depth industry discussion, workshops and networking. International forex and CFD company IG Group was certainly no exception, and during the inaugural part of the final day of the event, IG Group’s Head of Operations Arman Tahmassebi demonstrated to Forex Magnates that he places a high value on the event. “The IFXEXPO has been a great opportunity for us to engage with the wider forex and binary options community, and allows us to communicate the market-leading services and technology that IG can offer” said Mr Tahmassebi in a discussion with Forex Magnates at the event. 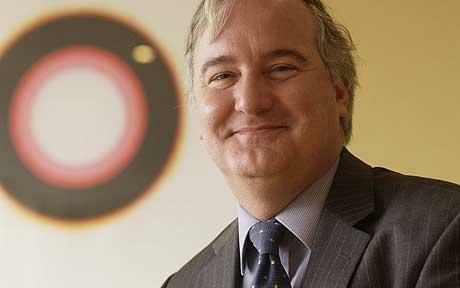 The group’s CEO, Tim Howkins took the helm in 2006 as CEO, having joined IG Group as CFO in 1999. In this week’s Forex Magnates Executive Interview, Mr Howkins elaborates on the company’s current events and direction for the future. In order to introduce yourself, please outline your professional career and background prior to joining IG Markets, as well as how you arrived at IG Markets. After training as an accountant at Ernst & Young, I helped form Rees Pollock, a firm of chartered accountants targeted at entrepreneurial, owner-managed businesses. I picked up IG as a client in the mid 90’s and always thought it was my most fascinating client. In 1999 they were looking for a new CFO in preparation for an IPO the following year and I thought this was an exciting opportunity, which I seized with both hands. What attracted you to join IG Group, and what did you wish to achieve during the initial stages of your tenure as CEO? How did you go about implementing these and what has the overall result been? My educational background is in mathematics and computer science and I could see huge opportunities for the application of technology and in particular, that this was a business that could be transformed by the Internet. When I joined IG less than 20% of transactions were online. Now 99.5% of our client orders are online, almost a third of them using mobile apps. I expected to be challenged and mentally stimulated by what was clearly a highly successful rapidly growing business. I certainly wasn’t disappointed. During my time as CFO we IPO’d the business on the London Stock Exchange, did a private-equity backed management buy-out and then re-IPO’d the business. I think I might be the only CFO who has done two IPOs of the same business. We didn’t let those transactions distract us from growing the business. When I joined IG we had annual revenue of just £12m and at our first IPO in 2000 the group was worth £125m. Now we have annual revenue of around £360m and are worth over £2bn. After seven years as CFO I became CEO in 2006. Two of my early objectives as CEO were to improve the standards of client education and to roll out our business internationally. At that time we were overwhelmingly a UK business, with a nascent operation in Australia, but over 90% of our revenues came from the UK. Today, we operate in 15 countries worldwide and half our revenue comes from outside the UK. With regard to client education, we have introduced many new tools and programs to help traders become more educated and disciplined like Trade Sense, a comprehensive educational program which all new clients are enrolled in, extensive online webinars and videos, and our extremely popular Insight tool. At the Forex Magnates London Summit, you stated that IG Group was seeing lower margins in FX and focusing on higher margin CFDs. What is the breakdown in terms of FX vs. CFDs for total trading and revenues? The mix between different asset classes varies according to market conditions. One of the advantages of the huge breadth of our products is that clients can always find something which is interesting. Typically forex makes up around a quarter of our revenue. Portugal was an interesting place to set up an office, as it does not have a lot of presence in the forex industry, nor the technology sector. As there were only around 750 clients in Portugal, this led to the inevitable closure. If it was language-specific, was the closure down to a decision to pull out altogether rather than retain the office and approach clients and IBs in Brazil, which is an emerging market and has great potential? We continue to operate in Portugal, it is simply that we now service that business from our Spanish office, which is just over the border, in Madrid. We continue to expand internationally and in the last six months have started up in both Ireland and Norway. Tell us about IG Group’s research service. A year after its launch, what has the take up been like, and how has the demand been in Britain and overseas for the Insight product? Does it assist conversion and retention, and does it provide IG Group with a higher life time value per client? Our Insight center is an incredible research service that brings together a vast range of easy digestible market information including research, analysis, news, commentary, client sentiment and reports to help our clients make better informed trading decisions. Client usage and feedback has been tremendously positive since the launch in 2012 so we rapidly rolled it out to many of our other markets as well as recently released versions across a number of our native mobile apps. The client sentiment elements are particularly popular with our client base. Because of the scale of our business these represent the sentiment of over 140,000 market participants, making them a very valuable resource which we provide to our clients for free. We’re fortunate to receive strategic client feedback on a daily basis so we will continue to enhance Insights in order to attract new clients and help retain more disciplined, educated traders. 2011 was a great year for IG Group. In the wake of decreasing volumes and revenues, profit was up by 28%. How did 2012 compare, and which regions are responsible for the greatest performance? Our 2012 fiscal calendar year began in June, 2011 and as a whole, we increased revenue year over year by 17.3%* with a strong growth of 28% in the first half of the year. High levels of market volatility in August 2011 resulted in record monthly revenues. We saw fast growth of 26% in Europe, with our Iberian business accelerating to become the fastest growing of the European businesses, 22% growth in Australia and 49% growth in Singapore, mainly driven by a 30% increase in revenue per client. As is the case for all British companies, there is now a new regulator to oversee business conduct. What is your opinion on the demise of the FSA and the handing back of economic responsibilities to the Bank of England and monitoring of industry behavior to the new FCA? Is it a good thing, or is it a costly white elephant? I believe that the regulatory environment in the UK is stronger than almost anywhere else in the world. We welcome this, because we believe that clients have the right to operate in an environment where they will be dealt with fairly, honestly and with the highest levels of protection. We have consistently lobbied in other countries to raise the standards of client protection to UK levels. The new regulator has a focus on “conduct” and I think this will further raise the bar of protection and fair treatment of clients. I thoroughly welcome this and am very confident that IG Group already meets the necessary standards. What is the company’s direction for the immediate future? Are there plans to enter new markets, and what developments will we see at IG Group during the remainder of the year? Cutting edge technology and high quality of service are the foundation on which IG was built so we will continue to focus on our on-going commitment to provide clients with the best possible trading experience and services. I believe mobile will become an even more important channel for our industry in the near future so we will enhance our mobile offerings throughout all devices in their native form in order to ensure we are at the forefront of key mobile technology. We will also continue to invest in high-end technology that offers the best support for our clients trading. In regards to expanding to new markets, evaluating new international opportunities will continue to be at the forefront of our core business objectives.